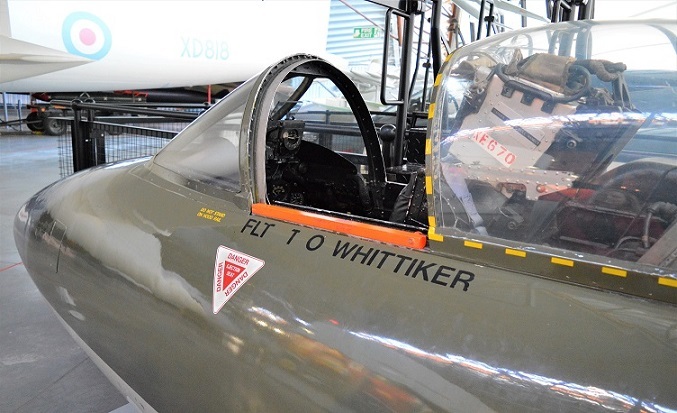 Families with youngsters crazy about planes are being encouraged to visit the Royal Air Force Museum Cosford this February half term to enjoy rare access to the Hawker Hunter F Mk.4 and McDonnell Douglas Phantom FG1 cockpits! Open each day from 16-24 February visitors can explore the Cold War fighter jets with close viewing of the Hunter and on-board access to the Phantom front cockpit . Plus, alongside the cockpits will be a Cold War handling collection consisting of helmets and life jackets for visitors to try and a collection of photos. So, if you have any future pilots in your family who want to experience first-hand what it’s like to take control of a real aircraft, head to the National Cold War Exhibition on arrival. There’s no need to pre-book, youngsters just need to be a minimum of one metre tall to sit inside the cockpit and must be accompanied by an adult. Aircraft will be opened daily from 11.00am-1.00pm and 2.00pm-3.00pm. 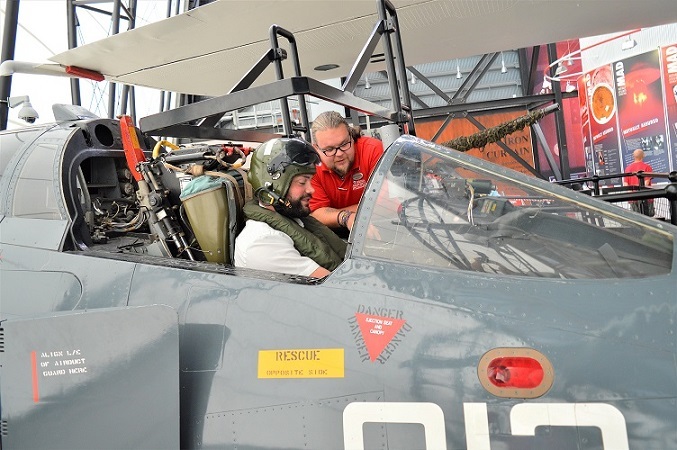 Both cockpits will be manned by a Visitor Experience Assistant and Volunteer who will be on hand to answer any questions (suggested donation £3 per person, cockpits open subject to volunteer availability). 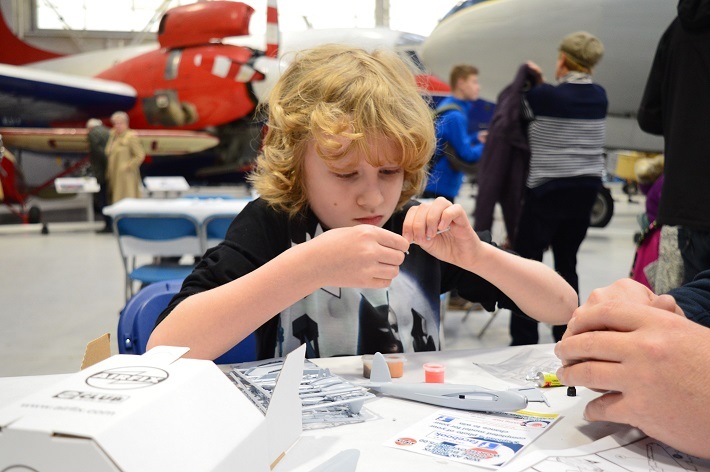 The flight themed fun will continue in Hangar 1 during half term when the popular ‘Airfix Make and Take’ week returns. This family friendly model making activity will take place from Monday 18 to Friday 22 February keeping little aviators entertained with hands-on crafting. 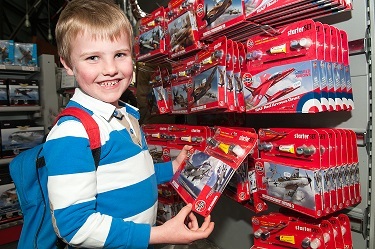 Children can choose from a selection of kits and build their models nestled amongst the Museum’s collection of aircraft. Kits on offer include a First World War 1:72 scale Sopwith Pup, a German First World War Albatross Biplane and Second World War Japanese Mitsubishi Zero. 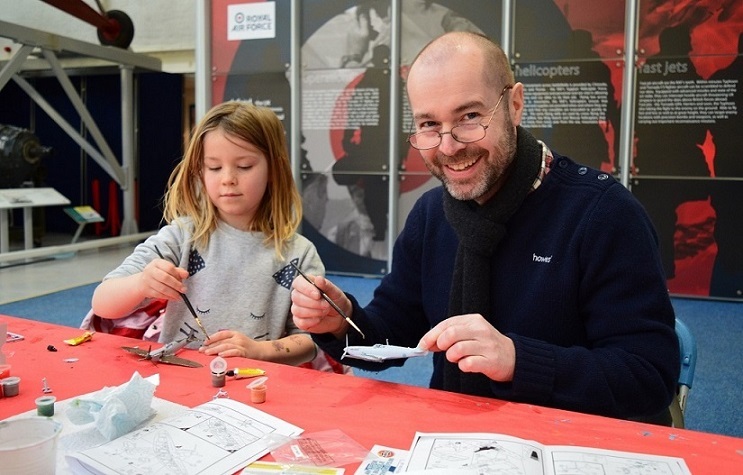 The Airfix activity is suitable for children aged 8+ and you don’t have to be a skilled modeller to take part as staff and cadets will be there to lend a hand and ensure visitors get the most from their modelling. If building an Airfix kit is too fiddly for your little ones, families with younger children can opt to assemble and decorate a wooden biplane. Each kit contains pre-cut wooden pieces, a plastic screw and easy to follow instructions. To give your wooden kit the wow factor, the Museum will provide all the colours and accessories needed to help personalise your model including foam letters and coloured jewels. Not only do participants get to take their models home, organisers are also giving modellers the chance to WIN an Airfix prize bundle worth over £75. Packed with everything any young modeller could wish for including three Airfix sets with accessories, an Airfix quick build kit and a 2019 Museum teddy bear. To enter the competition, hit ‘Like’ on the Museum’s Facebook page and tag a photo of your completed model kit by the end of the day on Sunday 24 February. So, if you think you can build the perfect Airfix kit or give your model the most creative makeover, why not give it a go! The winner and two lucky runners up will each receive a prize so they can continue the model making fun at home. Tickets for the model making activity are available from the Visitor Centre on arrival or from the Museum Shop. The activity will run from 11.00am to 3.00pm each day and participation is just £3.00 per person. All materials will be provided by the Museum (children will need to be supervised by an adult and may require assistance with the model making). Then why not continue the fun at home…all participants will receive a 10% discount voucher to use on model kits for sale in the Museum shop. 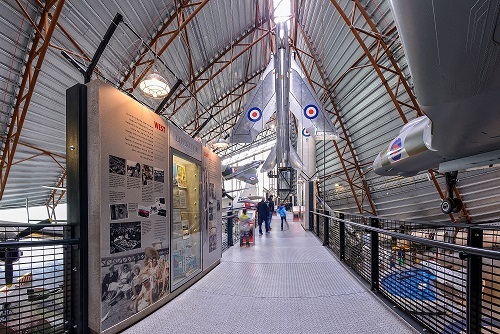 Perfect for families looking for a great day out, the Museum is home to four hangars packed with aircraft and vehicles, a hands-on interactive Fun ‘n’ Flight area and a 4D Experience, ensuring there’s plenty to keep all ages entertained. Open daily from 10am, entry to the Museum is free of charge.